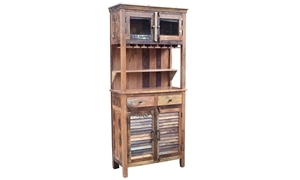 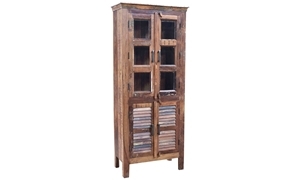 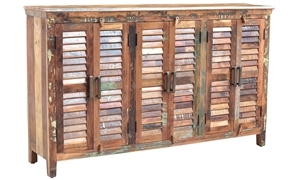 Solid wood bar cabinet in a rustic weathered finish features abundant storage made from recycled teak wood handmade in India. 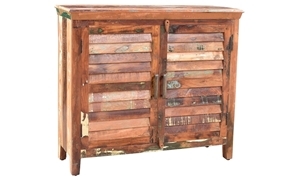 In the dining room, the living room, the bedroom or anywhere, this handcrafted reclaimed sideboard puts a one-of-a-kind twist on right size storage. 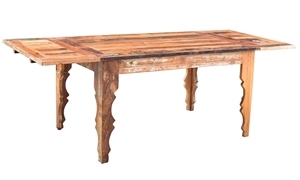 Crafted from reclaimed teak and solid wood with a colorful weathered finish, this dining table with hand carved legs extends from 55-87". 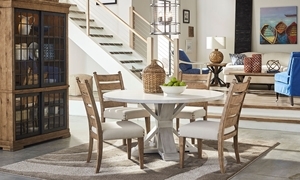 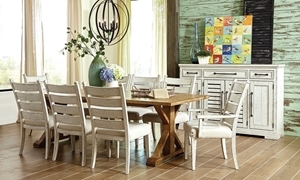 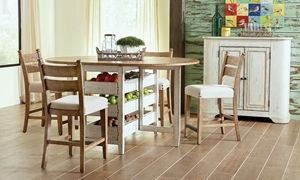 Rustic gate leg dining table features 3 storage drawers and measures 67 inches wide when completely open. 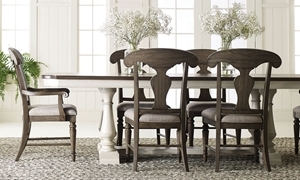 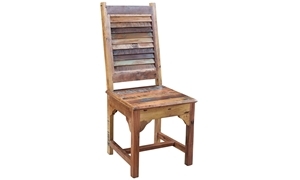 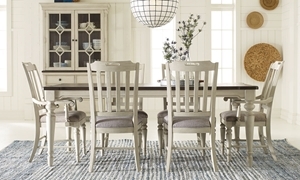 Includes 4 counter height chairs.